Some PR companies send you a few vouchers, and then you struggle to find the product. Others package things badly so you don't get the brand new quality. Others, at the opposite end of the scale, try to wow you with experience design and flair. This is one of those times. I'm not a fan of over packaging, but getting this in the post is a little bit special! 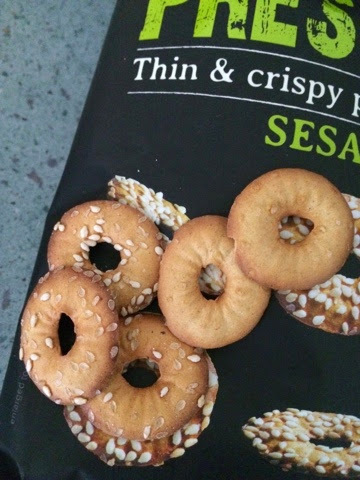 Plus it protected the little crispy circles really well so works on both fronts. It all went in the recycling too so there is no pretzel related guilt. 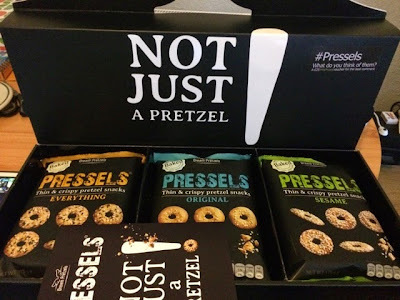 What we have here is essentially a hybrid between pretzels and bagels called Pressels. They are hard and crisp with either original (salt), sesame (and salt), or everything (salt and pepper and two kinds of seeds). They are all rather tasty as the base circles have been cooked really well and give a rich doughy flavour that contrasts nicely with the tangy toppings. They remind me of the edges of home baked pizza, which everyone knows is the best bit. They snap and crunch delightfully and the clear and crisp flavours are a delight. Apparently they were created "as a reaction to the lack of innovation in the snacking category" which I take issue with. 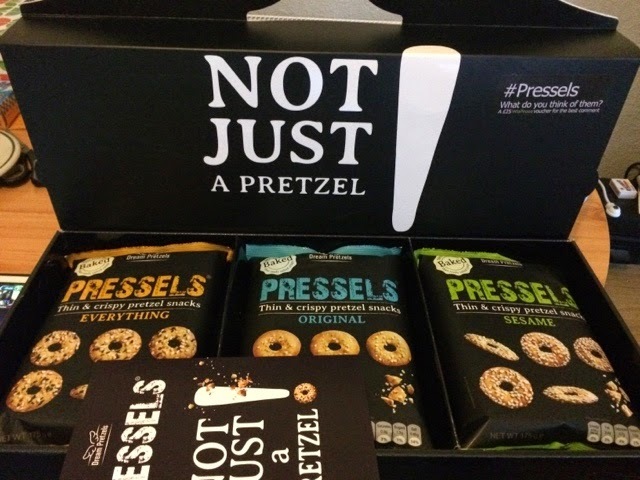 Firstly - Bacon Jam exists, and secondly these are just differently shaped pretzels - not that different at all! The themes and the toppings (inspired by bagels - like the shape) are a good idea and mean they are interesting enough to tempt in first time buyers. I'd agree that these are healthier than regular fried crisps with a quarter of the fat content per 100g but they do have almost double the salt. Also - they are very very nice so the bags 7 portions is very very optimistic. They stress that they can go in the good for you section of the supermarket, and while I agree I think that these are only a positive step until you eat most of a whole bag for lunch. 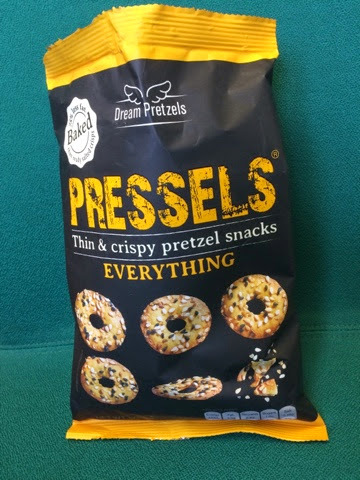 Usually I'd try and pick out a favourite flavour but they all exist quite distinctly, with the plain one being best for with other food, the everything one being the best all round snack and the sesame one having a lightness that would suit drinks or a dinner party. The office test went very well with people taking handfuls for later and expressing an interest in visiting Waitrose to hunt them down. I'm sure I'll pick these up again for socialising, I don't tend to buy big bag snacks unless I'm expecting guests, but when I do Waitrose is where I head. While not the great innovation their creator claims I think these are different enough to stand out, and I hope that more bagel inspired flavours find their way to the UK. I'll certainly be happy to pick those up too.